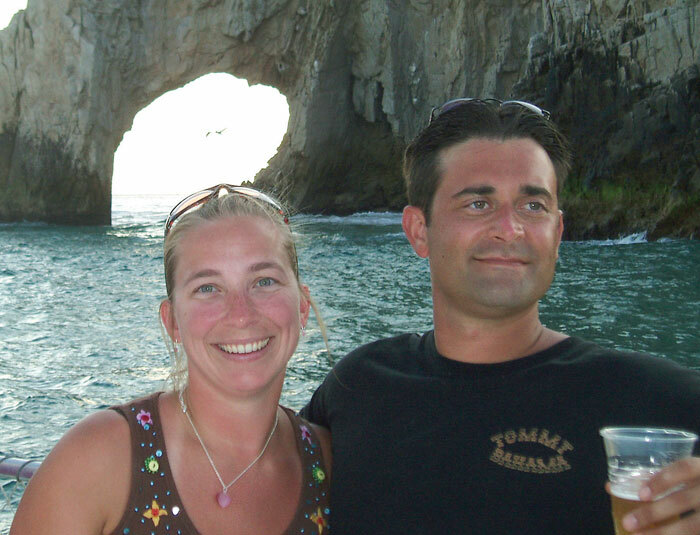 Chaya: My husband Nick and I always enjoyed being near the water. When I was in high school I joined Sea Scouts through the Explorer program, and Nick worked on boats during high school and college. But for the next 18-20 years neither one of us had any time on boats except for the Annapolis Boat Shows. 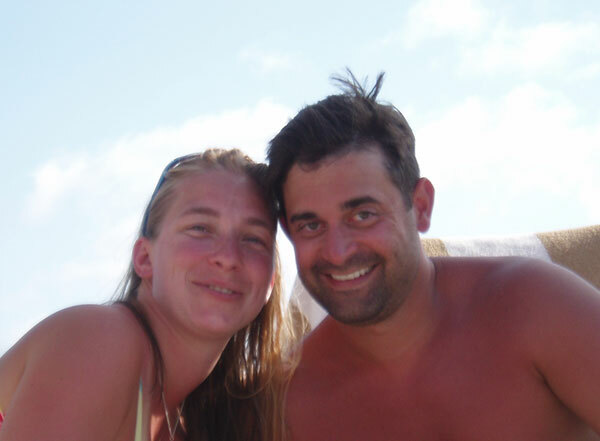 Then last year Nick and I realized we hadn’t been on a vacation just the two of us in nearly 10 years, so we decided to give sailing a try by taking a class somewhere warm. We had identified a school out of Colorado that had courses in the Caribbean, so we decided to attend the 2017 Annapolis Spring Sailboat Show to see a comparable boat to the one we’d be using in the Caribbean class. When we found the model we were looking for, Jeff Carlson with Sail Solomons was there. After talking to him, we decided to take a class with him locally instead of the course in the Caribbean. We are glad we did, because we have had an excellent experience, and it has been good to meet other local people and continue with more advanced classes without travelling. Tell us about your sailing experiences so far. Because our classes have been through Sail Solomons, most of our time on the water has been around Solomons Island, MD. The boat traffic there on the weekdays has been low, so we have had space to play and practice the maneuvers we have been taught. We started with the Basic Keelboat course and moved on through Basic Coastal Cruising and a docking class. 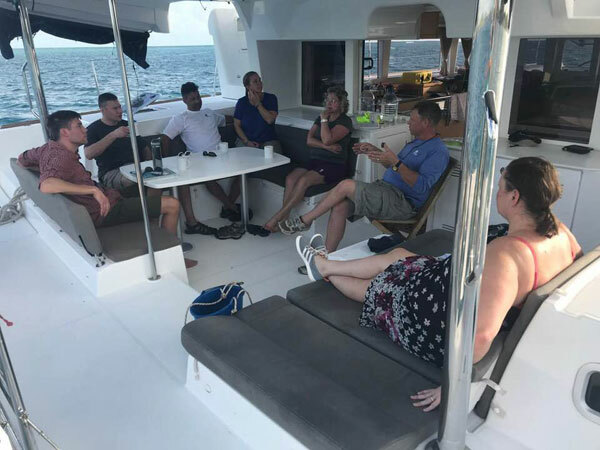 Then we continued with Sail Solomons in Antigua, where we took Bareboat Cruising and earned the Cruising Catamaran Certification. I was in Antigua and Barbuda for one week in the middle of January, and Nick was there for two weeks, one in October and one in December. To gain more experience, last summer we chartered day sailers out of Sail Solomons. Tell us about a few standout experiences or days on the water. Sailing in Antigua with Sail Solomons—the whole trip was fantastic. Another great day was our first day out on our own and with our daughter. We were followed out of Back Creek by a fleet of Sunfish under the control of a kids’ learn-to-sail camp.​ And we also have good memories of a day when the wind was almost nonexistent near Solomons, and we were about to call it quits, when we saw a dolphin next to our boat. This summer we plan to charter sailboats with some of the other people we met while learning to sail. We hope to take some long weekend trips to explore the Chesapeake Bay. Nick wants to learn to sail singlehanded, and he will probably join with a captain and crew to race this spring and summer in Solomons. We would love to take a family vacation to Bermuda and other islands in the Atlantic Ocean near the equator. Our daughter, 11 years of age, has enjoyed sailing with us several times. It would be great to spend the summer or longer school winter holidays on a boat enjoying the sun and warm weather. When we retire, we want to spend most of our time on the boat sailing around the Caribbean. We don’t currently own a boat, so we have been chartering and doing research on what we want in a boat. One day when the time is right, we will own one. If someone were interested in learning to sail, what would you tell them? Take classes. They build confidence and are a good way to learn how to do things the right way. We have found that classes and clubs are a great way to make connections with other sailors, some of whom have much more experience and can help you avoid mistakes.